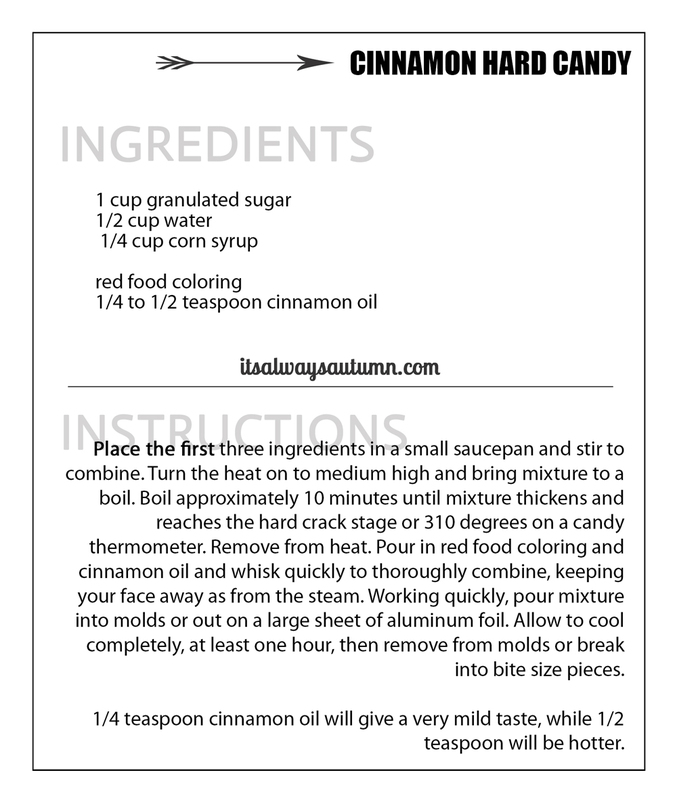 Cinnamon hard candy is one of my kids’ favorite treats to make. All you have to do is boil three ingredients, add coloring and flavor, and pour it out to cool, and you have homemade hard candy (much like a sucker or a Jolly Rancher). 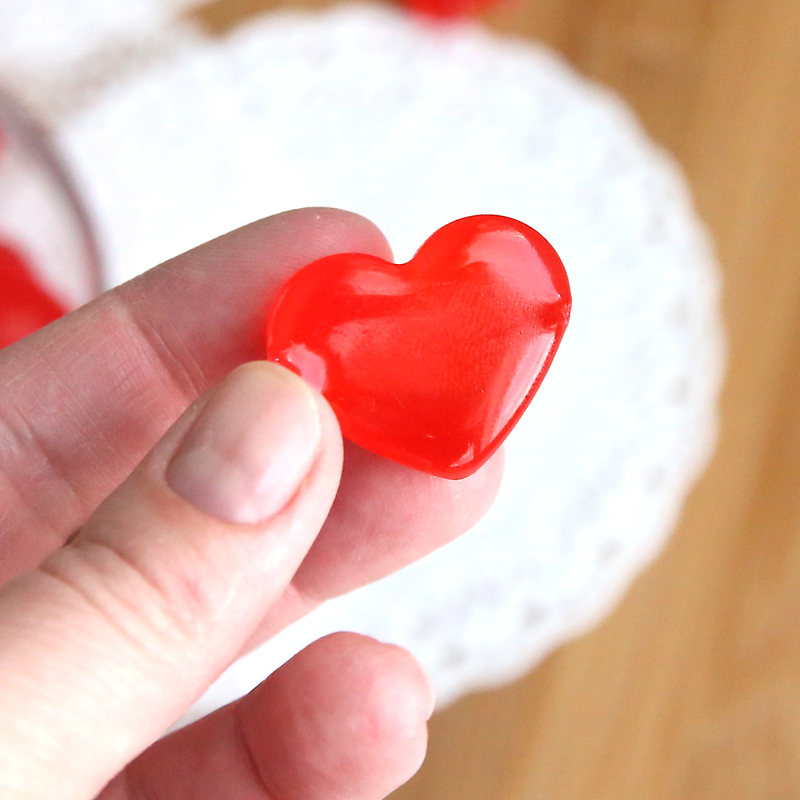 We make it every Christmas, but this year we ordered some silicone heart molds to make cinnamon hearts for Valentine’s Day. Today I’m going to show you how easy it is to make hard candy, even if you don’t have a candy thermometer. 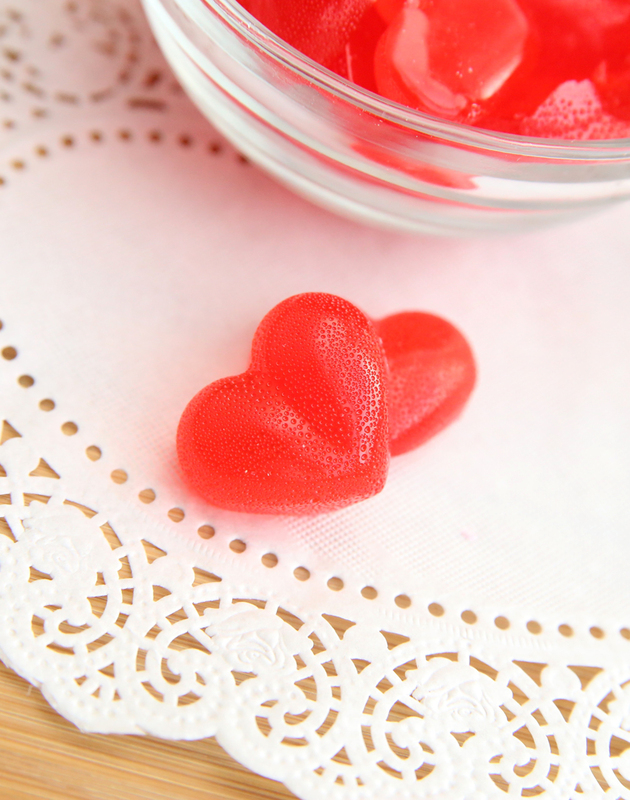 To make hard candy, you need: sugar, corn syrup, water, coloring, and flavoring. I always use flavored oils, not extracts, when making hard candy. You can find cinnamon oil in the baking section of most grocery stores, or you can order it on Amazon here. You can also use molds. I used these 1 inch molds, which make the size you see above, and these tiny heart molds, which make the size you see below. 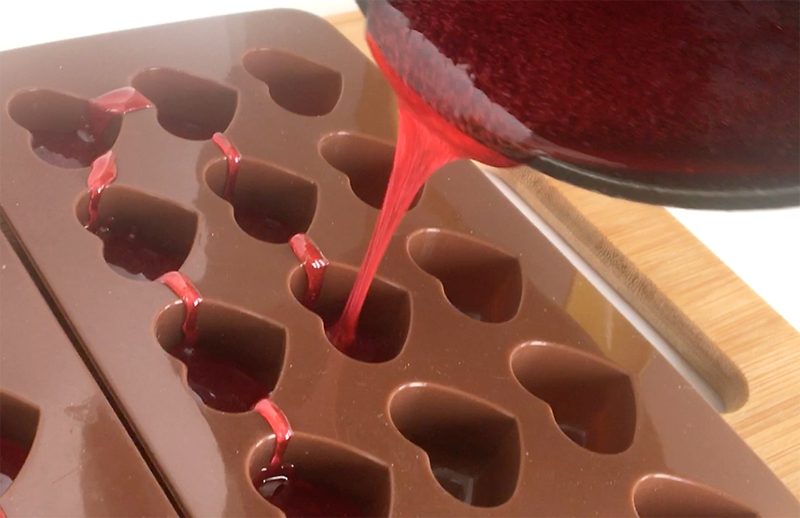 The larger molds are easier to fill, but they do give the candies a strawberry like texture, which you can see in the photo above. 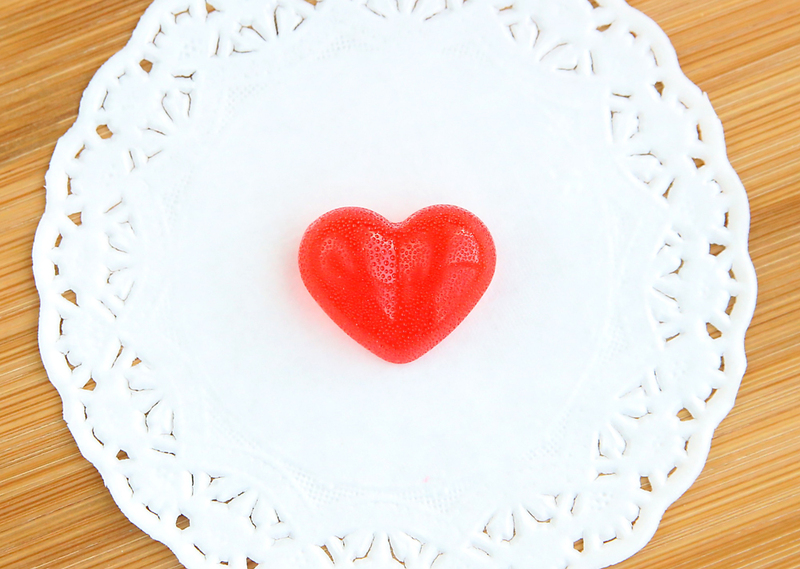 If you don’t want to order molds, you can still make cinnamon hard candy. Just place a large sheet of aluminum foil down on your counter and then pour the candy out onto it in strips. When it hardens, break it into bite size pieces. And you can click here to download a printable recipe card. One batch, as listed below, will make about 30 candies. You can double it if you want to make more. If you do use the larger heart molds I linked to, make sure to only fill them 1/3 or 1/2 of the way full. Otherwise they’ll be too big to eat comfortably. 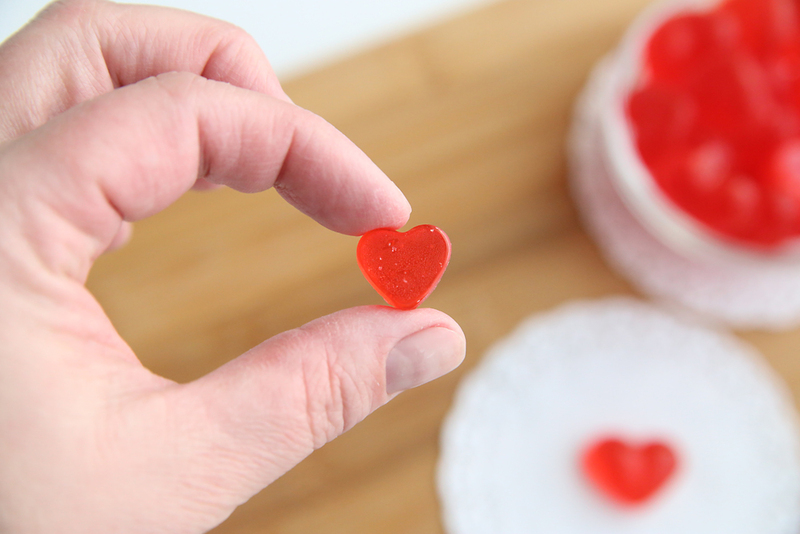 Cute hearts makes me want to make cinnamon hard candy. Clever girl. I am writing you in hopes that you will get this message today. How many candy heart’s did you actually have to use? I have 35 and 10 Sucker’s to fill.